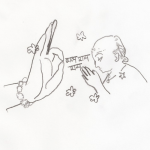 Categories: Divine Names, Mahans, Swami Sivananda, Uncategorized. 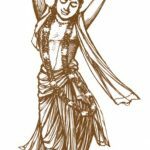 In this Bharata Pradakshina series, we periodically see briefly how every Indian state has been graced by ‘bhakta’ saints who glorified the easiest and the most effective path of chanting the Lord’s Names. Bharat, the holiest of all lands, is described in many poems as extending from the Himalayas till the southern tip of the peninsula. In fact, “Aasetu Himachalam” is the insignia of the geographical survey of India which highlights the same point. 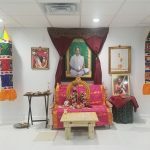 We find many saints born in one part of India but settled in a different place to propagate Bhagavata Dharma (path to God through singing His Names and listening to His stories). Yogi Ramsuratkumar was born in Varanasi but spent the rest of his adult life in Tiruvannamalai in Tamil Nadu. Similarly Hathiram Baba was born in Rajasthan but settled in Tirupati. One such saint was Swami Sivananda, who though born in Tamil Nadu, spent his sanyasa years in Rishikesh in Uttarakhand. Born in 1887 in Tamil Nadu, young Kuppusamy showed great interest in serving the society. After graduating in medicine, he travelled to Malaysia to practice his profession. His kind heart and compassion touched the lives of many and they declared he had a special gift from God for the miraculous cures. Dr. Kuppusamy’s profession grew leaps and bounds, but a sense of emptiness was felt in his heart. He began to study books on great saints and various scriptures. Quitting his lucrative profession in 1923, he came to India and set off on a pilgrimage. He reached Rishikesh in 1924 and met His Holiness Sri Swami Visvananda Saraswati. Noticing great traits of divinity in him, the saint initiated Kuppusamy into the sanyasa order and was bestowed with the name Swami Sivananda Saraswati. 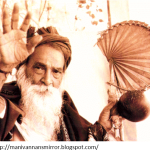 In 1936, he started “The Divine Life Society” which to this day has been guiding the spiritual seekers on the path to God Realization. Swami Sivananda constantly emphasized the greatness of the Divine Names and advocated its chanting. When the world was witnessing a terrible war, Swami Sivananda started non-stop chanting of the Mahamantra in his ashram for peace to prevail. Given below are some of his sayings that highlight the greatness of chanting the divine names of God. The power of the Name of God is incalculable, for it is the height or the zenith of power. The Name of God can achieve anything. There is nothing impossible for it. It is the means to the realization of God Himself. One Response to "Bharata Pradakshina: Uttarakhand"
In my life any question comes my mind only Swami Sivananda Moharaj can gives all the reply although I am satya sai devotee.His writings are just like Balmiki writing Ramayana.Hey satsanga what ever religion you are come and study each letter of swami Sivananda moharaj Mohakatha.Hey gurudev Apanaku Koti Koti Prnam.